Pueblos and palm trees, Pacific beaches and Carib charm, potent tequila and taste-bud-tingling margaritas all meet between the borders of Mexico; a land of passion and beauty, where sprawling mega cities rub shoulders with the ruins of ancient Maya and the like. Here, we take a look at 15 of the top spots that should be on the itinerary of any traveler making their way to this bucket list country of Central America. A sprawling, seething mass of more than eight million people, Mexico City is the beating urban heart of Central America. It bursts forth from the Valley of Mexico right in the middle of the country; a patchwork of barrios and shanty towns, gilded historic centers and – more recently – shiny blocks of business high-rises. In the midst of the Centro Historico, the great Zocalo (the third largest city square in the world) spreads out close to sights like the Templo Mayor (raised atop ancient Aztec ruins) and the sun-splashed stones of Madero Street. Archaeological museums abound, while Chapultepec is green and leafy, and Condesa comes complete with more international eateries and stylish cocktail bars than you can shake a Mexico City burrito at! Seen by many as the veritable jewel of the Pacific Coast, Puerto Vallarta sits nestled beautifully between Mexico’s Sierras Cuale, the rugged Sierra Madre Occidental and the shimmering rollers of the ocean. For decades it’s drawn jet setters and sunbathers and fashionistas to its shores, and these folk can still be seen flitting between the beaches of Banderas Bay, the golfing resorts of the Mayan Palace and the wealth of fine-art galleries that pepper the old town heart of El Centro. However, Puerto Vallarta has taken on a more adventurous edge in recent decades, offering trekkers and horse riders routes through the wild Sierra Madre, surfers some of the top left-to-righters in the country, and whale watchers plenty of humpbacks out at sea. The sleepless party capital of Mexico makes its home on the sun-splashed coast of the Yucatan, where the tropical jungles of Mesoamerica give way to the warm waters of the Caribbean Sea. The city is one of two halves, spread out between the historic, Spanish-infused old center and the bustling super-resorts of the so-called Hotel Zone. 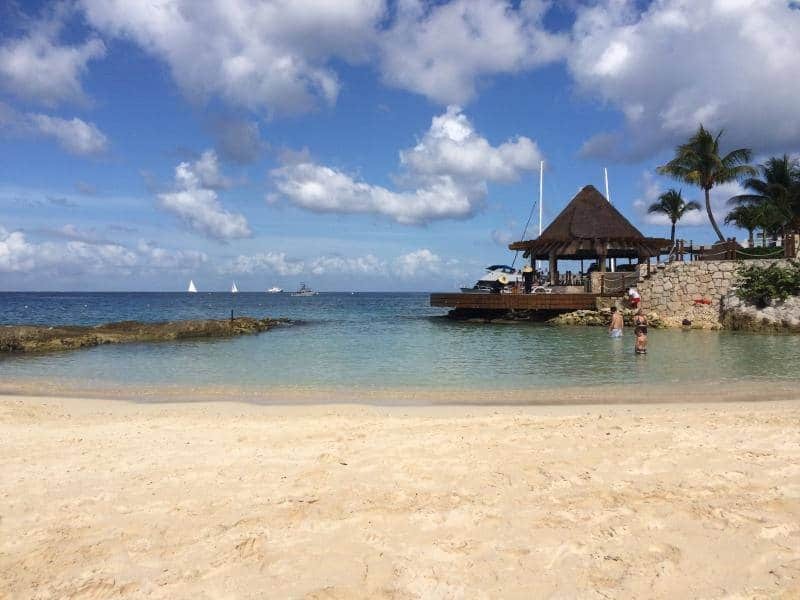 Of course, the beaches are top-notch, running north to south from popular Pearl Beach and Isla Mujeres to the lively bar-backed Blue Seagull Beach. After a long day of sunning yourself, Cancun’s clutch of hedonistic cocktail joints and clubs takes over; the likes of Senor Frog’s and Basic Discotheque offering Spring Break-style blow outs the likes of which you’ve never seen! A popular out-of-town weekend spot for day-trippers coming from Mexico City and one of the country’s most eye-wateringly wonderful colonial centers for sure, San Miguel de Allende rises in a patchwork of pristine Spanish-style churches and sun-splashed piazzas redolent of Andalusia from its place in the midst of Guanajuato. A little ironically, this European-infused city was actually one of the powerhouses of the Mexican revolution back in the 19th century, giving the nation the revered national hero of Ignacio Allende (now its namesake). Be sure to case out the beautiful Plaza de Armas and its manicured laurel bushes, before wandering between the tight-knit cobbled streets and spying out the pink-hued El Jardin and San Miguel’s many international eateries and galleries. Chichen Itza is a bucket list topper for sure. Raised from the 7th century onwards, this crumbling cluster of ruins and colossal megalith structures was once one of the nerve centres of the great Mayan civilisation. Visitors come by their thousands to spy out the soaring pyramid temples and UNESCO-attested ruins, flitting in guide groups between the likes of the Temple of the Warriors and the eerily titled Platform of the Skulls, the observatory tower of El Caracol and the haunting Cenote of Sacrifice. The piece de resistance though? Well, that only comes twice a year, when the serpentine stairs of the soaring Pyramid of Kukulca reflect the low rays of the sun and cast mysterious shadows over the Mayan rockwork. Surrounded by the totemic ancient and pre-Columbian sites of the Yucatan Peninsula, Valladolid is a charming colonial city that oozes Spanish charm from every one of its ochre-hued, neo-classical facades. Nestled just a short drive from both Chichen Itza and party-mad Cancun, the spot is gilded with the gorgeous Catedral de San Gervasio and the Mayan relics of the Museo de San Roque. But the rich history of this aged and fading conquistador’s city aside, travelers who do linger here will also discover a laid-back café culture booming from between the tree-lined boulevards and streets, while the sparkling waters of Cenote Dzitnup beckon on the edge of town. Perched high above the glimmering waters of the Caribbean Sea just a little jaunt down the coast from lively Cancun, the ruins at Tulum continue to vie with Chichen Itza for the place of Mexico’s most famed Mayan site. Tulum certainly wins on the looks front – that’s for sure. Its lichen-spotted temple tops come encircled by groves of swaying palm trees, ringed by powdered sands, while the Pyramid El Castillo is a wonder to behold and the remaining rocks of the God of Winds temple stand firm above the ocean. 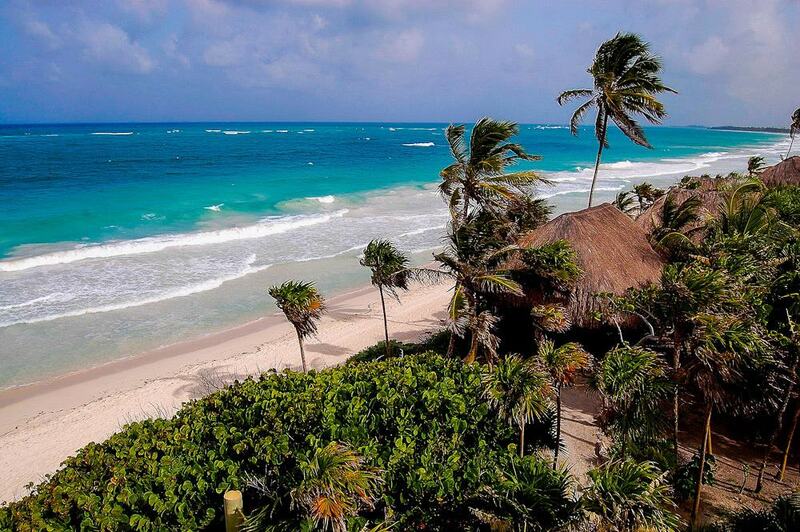 Tulum is also beloved of beach bums and kite surfers, cenote seekers (check out the awesome El Gran Cenote) and luxury lovers (there are oodles of top-notch hotels on the shores). 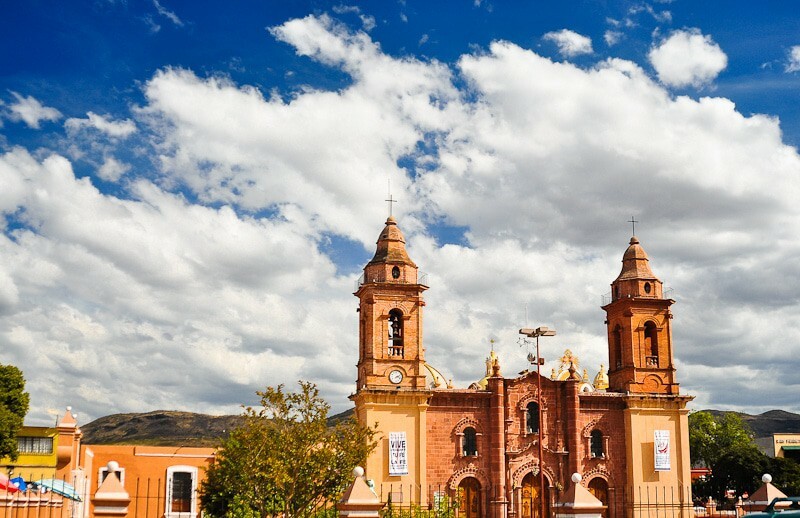 Santiago de Queretaro is considered one of Mexico’s safest and prettiest towns. Since 1996 it’s been tagged with that much coveted UNESCO World Heritage epithet. And boy is it deserved! Bougainvillea blooms spill out from the low-rise pueblo cottages in the historic center, casting shadows across the Spanish cobbles. Then there’s the former home of the Spanish viceroyalty of the city, and the legendary Theater of the Republic – the very spot where Mexico’s onetime foreign ruler – Maximiliano – was found guilty at the hands of Benito Juarez. Steeped in history and charming to the hilt, Queretaro’s a real must on any Mexican trip! Enfolded by the rising foothills of the Sierra Madre in the deep south-western reaches of Mexico, Oaxaca City is kissed by mountain breezes and adorned with glorious traces of colonialism to boot. 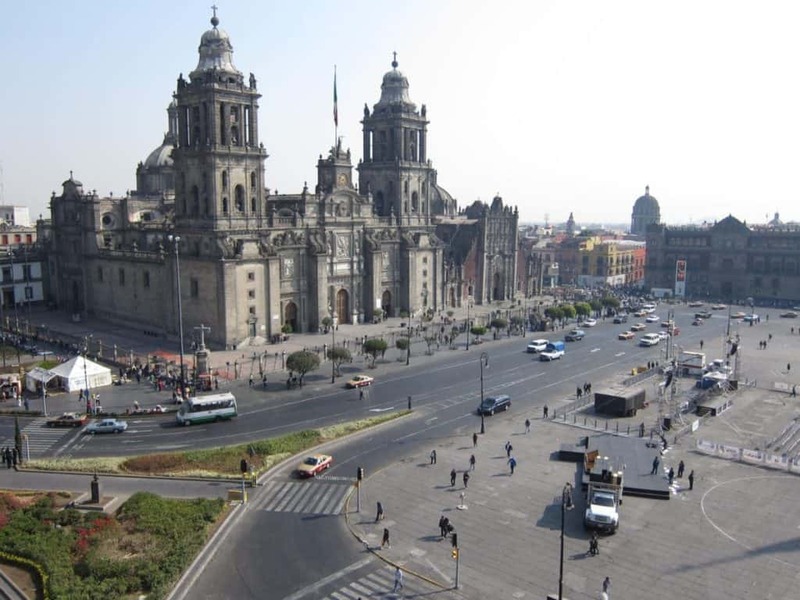 At its very heart, the UNESCO-tagged Zocalo square gives way to a curious medley of the Gothic, Baroque and Art Nouveau. From here, visitors can opt to hit the stretches of the pedestrianised Andador Macedonio Alcala and spy out contemporary MACO and the Casa de Benito Juarez to name just a few of the artsy and historical musts. On the fringes of the city stand the World Heritage ruins of Monte Alban too; an enthralling look into the lives and traditions of the mysterious pre-Columbian Zapotec peoples. A fragment of Caribbean paradise set just off the much-trodden shorelines of the Yucatan Peninsula, Cozumel reigns as one of Mexico’s supreme tropical destinations. It comes with countless beaches and stretches of pearly-white, powdery sands, along with its own share of pre-Columbian ruins at the dusty excavations of San Gervasio and the El Caracol lighthouse. Family-friendly San Miguel is a great place to sample the fiery tacos and bean stews of the Mexican Caribbean too, and the city is replete with oodles of tour providers offering one of Cozumel’s top activities: diving. This takes place all around the rugged coves of the coast, delving into the coral gardens and marine parks and seeking out turtle nests and eagle rays along the way! The great unending capital of Jalisco is a cocktail (no pun intended) of all things Mexican, from tongue-tingling margaritas (this is the home of tequila after all!) to the rhythms of mariachi. It’s also the country’s second biggest metropolis, and has routes going all the way back to the times when Spanish conquistadores roamed Mesoamerica. Travelers should be sure to see the gorgeous and much-rebuilt façade of the Guadalajara Cathedral, and the enchanting, sombrero-spotted square of Plaza de los Mariachis. Meanwhile, the district (actually a separate city altogether) of Zapopan offers lively cantinas and bars, and Tlaquepaque has the flavour of an old Mexican pueblo. Made famous by the dreams of one Andy Dufresne in the classic prison escape film The Shawshank Redemption, you could be forgiven for thinking that the paradisiacal beach-side strips of Zihuatanejo are inhabited mainly by ex-cons and fugitives from north of the border. They aren’t though, and instead this beautiful seaside spot is home to makeshift cabanas that spill onto the sands in a medley of margaritas and sun umbrellas, the bobbing boats of local fishermen and the sparkling waters of the Pacific, forever lapping against the rocks and tideline. Just to the northwest is where travelers will find the real tourist boom – if that’s your sort of thing – between the condos and golf courses of Ixtapa. Set between the chiselled cliffs and rugged bulwarks of rock that define the very tip of the Baja California peninsula, the famed resort town of Cabo San Lucas is a place that continues to defy expectations. Yes, it’s packed with Spring Breakers out of the US, and comes with the legendary bars of Senor Frog’s and Cabo Wabo (owned by none other than Sammy Hagar of Van Halen fame), but there’s also a refined edge to the town. For example, the Shoppes At Palmilla strip offers swish boutiques and art galleries, while there are more five-star hotels peppering the clifftops of the Baja than you can shake a platter of Tex-Mex at. Put simply, this one’s a great, all-rounder on the Mexican line-up of beachside resorts. Not the most historically rich of towns, nor the most energetic, Chihuahua fuses heritage and authentic northern charm between its smatterings of preserved colonial relics. It’s also famed as the onetime burial spot of the revered holy man come revolutionary Miguel Hidalgo. Visitors who opt to stop off here, between the cacti-spotted deserts just south of the US border, can enjoy the lively El Palomar Central Park, where festivals erupt ad hoc throughout the year, and a series of beautifully preserved Spanish-style mansions. Beware: Chihuahua’s unique culinary output is not for the faint hearted – we’re talking about the chiles rellenos, which packs one serious capsicum punch! Perhaps the most famous balneario (beachside resort town) in all of Mexico and now a name synonymous with Pacific relaxation and recreation, Acapulco once led the way for partying and hedonism in these parts. Its palm-fringed sands and boulder-strewn coves were first discovered in the 1940s and fast became a magnet for gringos and celebs, who came in their droves to raise condos and villas along the sun-splashed shore. 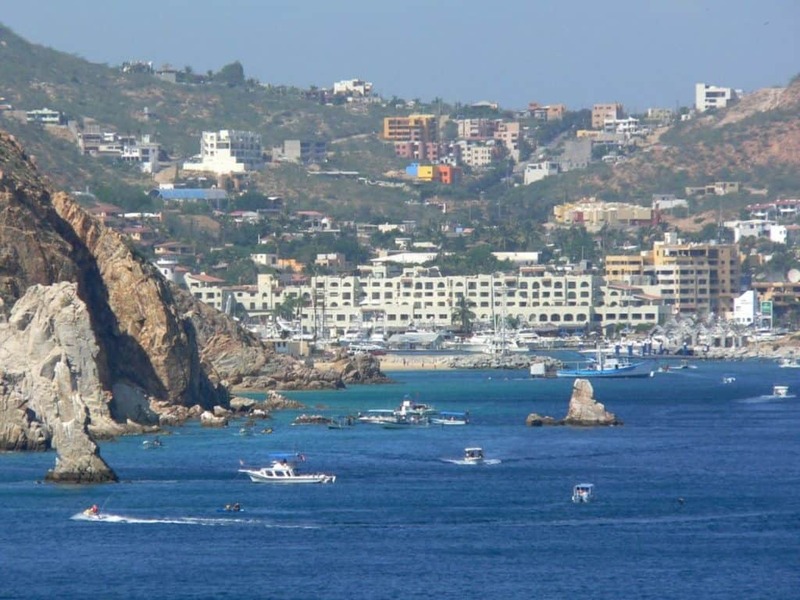 However, a tumultuous gang war has since diminished the easy-going rep and Acapulco now takes a backseat, in favour of spots like Cabo and Puerto Vallarta. Those who do come can expect beautiful promenades bustling with cantinas, pristine beaches and some seriously dramatic cliff diving from the heights of La Quebrada.